Your Vietnam vacation wouldn’t be complete without trying Vietnamese food. 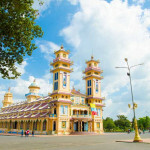 And if you’re in Phu Quoc, the variety of food choices ranges from small eateries to luxury restaurants and expat-owned bistros serving the country’s finest dishes. Phu Quoc’s main source of income is fishing which is why you can expect to find an expansive variety of fresh seafood at affordable prices. Today we’ve listed down popular dining spots you can visit for your next Vietnam trip! The Pepper Tree at La Veranda Resort is our first featured restaurant in today’s Vietnam travel blog. It’s an upscale restaurant with incredible views of the beach and garden – perfect for romantic dinner dates and intimate get-togethers. Serving French and Vietnamese flare, award-winning chefs prepare fine-dining cuisine that goes well with premium wines for the perfect nightcap in the island. You can start your Vietnam vacation by tasting authentic Vietnamese food served at Gop Gio Restaurant! 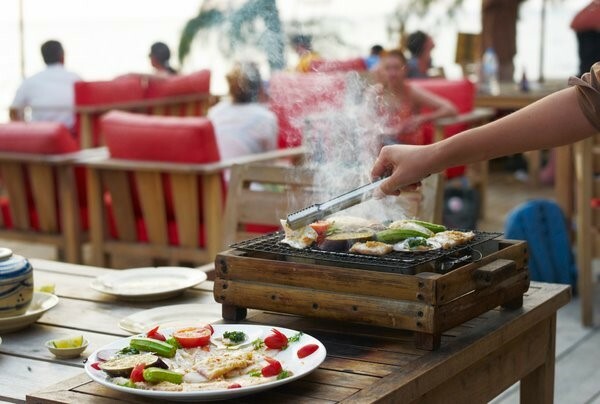 It has become one of the places to visit in Phu Quoc thanks to its grilled seafood and local Vietnamese dishes such as deep-fried shrimp and squid, fried pork, fish hotpot and many more. They also have fruit juices, fresh coconut water and the classic Vietnamese coffee. If you want to enjoy meat-free Vietnamese vacation, come to Khanh Ly Vegetarian Restaurant which is home to extensive choices of soups, vegetables, noodles and mock meat choices. This self-serve Vietnamese restaurant has no menu available – instead, you will be handed a plate of rice to top it off with as many side dishes as you please. It’s one of the famous Phu Quoc tourist places especially for vegetarians who still want a taste of healthy food choices on the island. 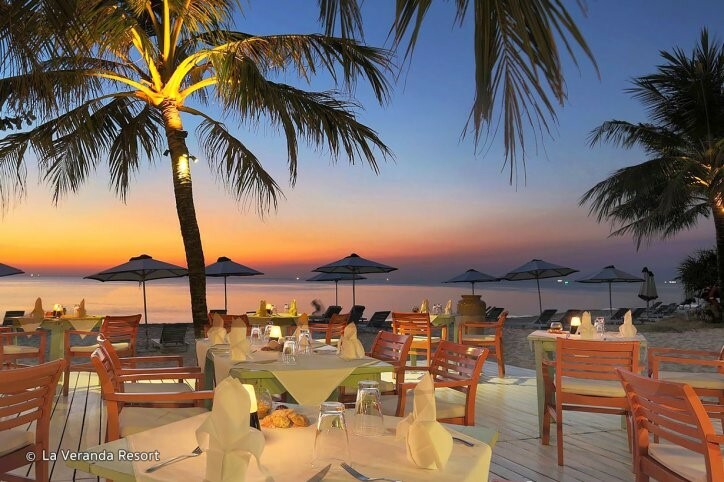 Mango Bay Resort’s On The Rocks Restaurant is a restaurant overlooking the Ong Lang Beach. This all-day dining spot offers Western favorites, local Vietnamese dishes and other Asian classics from 6:30 a.m. until late in the evening. One of their must-try dishes is the Phu Quoc Mackerel which is made of mackerel cooked with shiitake broth and served with bok choy and ginger rice. Another one you shouldn’t miss is their Ying-Yang Basket made of coconut shrimps, fresh spring rolls, banana blossom salad and beef la lot. They also serve an extensive wine list, fresh fruit juices as well as tropical cocktails. Vuon Tao Restaurant in Phu Quoc is famed for its goi ca trich or raw herring salad. The goi ca trich is a delicious local dish made with herring, sliced vegetables, onions, chilies and shredded coconut wrapped in rice paper. This is also served with guoc nam sauce and fresh greens on the side. 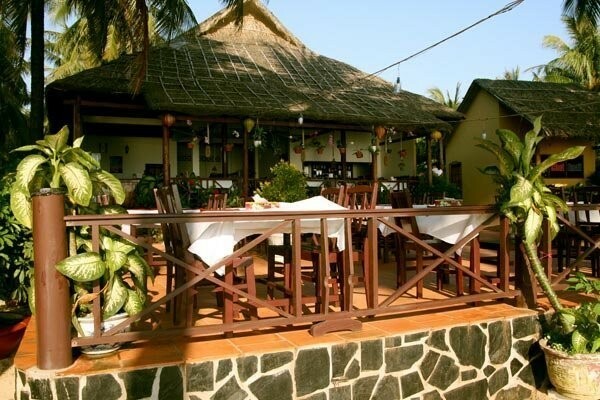 Top off your Vietnam vacation experience and have a taste of the country’s cuisine when you dine at any of these Phu Quoc restaurants! Meanwhile, you can check out flight booking offers at http://www.bangkokair.com/eng/bestfares/view/to:phuquoc before you start planning your Vietnam travel itinerary!